This is our 3rd Newsletter for 2010. It is the first time we have ever had three in one year. Since 60% of our business is related to Criminal Defense, we are constantly preparing for Trials, some of which never occur. One thing is for sure, the thorough preparation has lead in many instances to positive results for our clients. Every month we receive referrals from our clients. Thanks again to David Adler, Rob Fickman, Joe Salinas, Wes Hocker, Leonard Meyer, Stanley Schneider, Chad Johnson, Bob Loper, James Stafford and Daphne Pattison. Thanksgiving will be here before we know it. As we reflect, we are grateful to all our clients for their support and want to give special thanks from myself, Carey Wellmaker and the staff wishing all of our clients and their families a very Happy Thanksgiving. The Fall issue of The Texas Investigator distributed by the Texas Association of Licensed Investigators had a great article on Spear Phishing emails that I wanted to pass on to our clients. These emails are designed to appear to be from a legitimate company in an attempt to obtain your personal identity information or to install malware onto your computer. Examples of these type of deceiving emails are titled “IRS Refund” and “DHS Shipment Problem”. The Phishing emails are manipulated to appear from someone with whom you normally correspond. To further the deception, these emails are crafted to appear to be from a trusted source and often have subject lines and attachments relevant to your business. Receiving a Spear Phishing email is relatively harmless until the email is clicked, which initiates the malicious software, known as malware. The software allows the hacker to monitor actions, access files, programs, download files and manipulate the computer without your knowledge. Keep current any anti-virus, anti-spyware and firewalls on your network. Install programs that track access to sensitive files and monitor downloading. Change passwords after an employee resigns or is terminated. Limit remote access to the computer. Never share passwords or write down passwords. I am happy to announce that Cindy Klein is the newest addition to our staff. 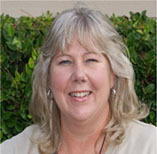 Cindy is a graduate of California State University with a Major in Criminal Justice. Cindy was a Special Agent with the FBI working ten years in the Houston Field Office. During her tenure in Houston, Cindy gained extensive experience in Bank Robbery, Kidnapping, Civil Rights and Domestic Terrorism Investigations. Cindy has extensive training in Advance Profiling, Domestic and International Terrorism, Sexual Abuse of Children, and Interviewing and Interrogation techniques. Cindy has already displayed an ability to obtain information from the most reluctant witnesses. Cindy had great people skills and the ability to document her interviews in a very thorough manner. Cindy is a welcomed addition to our very diversified staff of competent Investigators. Carey Wellmaker has recently completed the necessary course work for accreditation and is now a Certified Criminal Investigator. The Council was established to encourage a dialogue among professionals and scholars involved in various aspects of criminal defense investigation. The Board promotes as its foundation, recognizing the need, accepting the responsibility, and standing watch as defenders of the constitution and the right of the accused to a fair trial. The council encourages the philosophical and methodical approach to the investigative process. An objective and impartial investigation is its primary strength. Criminal Defense investigation is a specialized discipline and demands to be recognized as such. Criminal Defense investigation is not a subordinate to law enforcement criminal investigation. With this in mind, the council seeks to standardize basic methodology, procedure, and training devoted solely to the discipline of criminal defense investigation. Carey is one of seven board certified members in the State of Texas. In August I accompanied attorneys Katherine Scardino and James Rivera to the Santa Clara University School of Law, Brian Schechmeister Death Penalty College. Attending by invitation were sixty-eight Criminal Defense Attorneys, nineteen Mitigation Specialists and fourteen Fact Investigators who are involved in Death Penalty cases throughout the United States. Our Sponsor was the Mexican Capital Legal Assistance Program funded by the Mexican Government to oversee the representation of Mexican Nationals charged with Death Penalty cases in the United States. My team is involved in the defense of Noel Cerna, charged in the Murder of a Houston area Physician at his ranch in Bellville, Texas. I can honestly say the program was one of the finest that I have ever had the opportunity to attend. In addition to featured speakers, there was a great deal of participation in break out groups where each team was able to discuss their cases and develop ideas for defending their clients. The emphasis was on complete teamwork on all phases of the defense amongst the Attorneys, Fact Investigators and Mitigation Specialists. I had the opportunity to interface with professionals from all over the country and learn about their methods of obtaining information, interviewing witnesses and organizing their cases. I left the conference with a number of new tools and techniques which will certainly enhance the quality of our work product. Our firm has been involved in over 250 Capital Murder cases over the years. Many of those cases involved the Death Penalty. I gained a great deal of insight about what a Mitigation Specialist did for the Defendant as a result of attending the Death Penalty College. The Mitigation Specialist’s responsibility is to build the Defendant’s social and family history for three generations, interview relatives, associates, teachers, employers and obtain records that can be utilized by the selected experts, in order to Mitigate for the Defendant receiving a Life Sentence rather than the Death Penalty. What I also learned, is that in the majority of the Jurisdictions, especially in the Public Defender Offices, the Mitigation Specialists and Fact Investigators work side by side, which makes perfect sense. Fact Witnesses are often Mitigation Witnesses. Fact Investigators develop the identity of Mitigation Witnesses during their investigations. Mitigation Experts rely on the Fact Investigators to locate records and relatives. It has been my experience here in Harris County, that the Mitigation Experts and Fact Investigators usually work separately and do not share a lot of information. There is also a shortage of qualified and competent Mitigation Experts in Harris County forcing Capital Defense attorneys to obtain these services from individuals outside of Houston and even Texas. It dawned on me during this process that we have a great Mitigation staff already assembled. Carey Wellmaker, the Vice President of Gradoni & Associates, who is a graduate of Texas A&M and has over 20 years of investigative experience. Our firm also has Benito Segura, our best Fact Investigator, who is also bi-lingual. The third member of the mitigation team is Cindy Klein. Although new, Cindy has great interviewing skills and the ability to garner information from anyone she talks to. I am proud to announce we are in the development stages of setting our procedures and program to conduct mitigation work. It is my hope in the very near future we will be able to provide both fact investigations and mitigation investigations for our clients simultaneously on the same cases. I have been given a verbal commitment from three of my Capital Defense clients that they will be willing to have us assigned as fact and mitigation experts on their next Capital Murder case. Since our inception in 1989, we have earned a reputation for being the providers of a high quality fact investigation for Criminal Defense attorneys. I believe that within the next few years we will be able to also have the identical reputation as a provider of quality mitigation services for our clients. The Texas Association of Licensed Investigators (TALI) had its Fall Conference at the Omni Hotel this year at the end of August. Wayne Dolcefino and Harris County District Attorney, Pat Lykos, were featured speakers. Jeffrey Addicott, an expert in Terrorism and National Security also gave a great presentation. During the three day seminar, there were a number of break-out groups. I was very proud to be selected along with Criminal Defense Attorney, Chris Tritico to do a two hour teaching segment on Criminal Defense. Our session had the biggest attendance of any session at the conference. During the last ten years, TALI has done a great deal to improve the professionalism of our industry and be a key voice in legislation that affects all of us.